This post is sponsored by BabbleBoxx.com. All opinions are 100% my own. Fall is here, that means back to school, sports, activities and less time for making dinner. Here are some great healthy options to make your weeknight dinners easy and delicious. Be sure to take advantage of the printable coupons and special offers when you shop online. Chunky Marinara Pasta Sauce is made with 100% olive oil and contains no added sugar. What a great way to make healthy weeknight recipes taste even more delicious. If you have an instant pot like I do, you’re always looking for great dishes to make with the best pasta sauce. 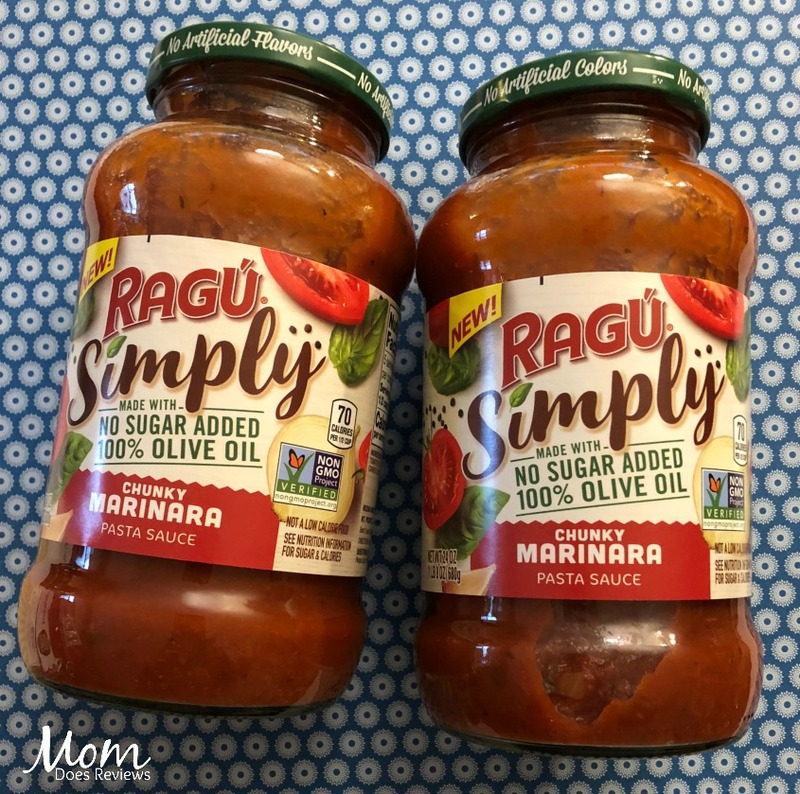 I’m going to use the New RAGÚ® Simply Chunky Marinara Pasta Sauce to make a great Ziti dish with Sweet Sausage, ricotta and mozzarella cheese. The Ziti will have plump tomatoes, onions, garlic and spices from the New RAGÚ® Simply Chunky Marinara Pasta Sauce. Even though it’s called simple- it brings tons of flavor. The Instant Pot makes weeknight dinners cook in 1/3 the time in only one pot. The New RAGÚ® Simply Pasta Sauces make me feel good about using them in a weeknight dinner and they love them too! 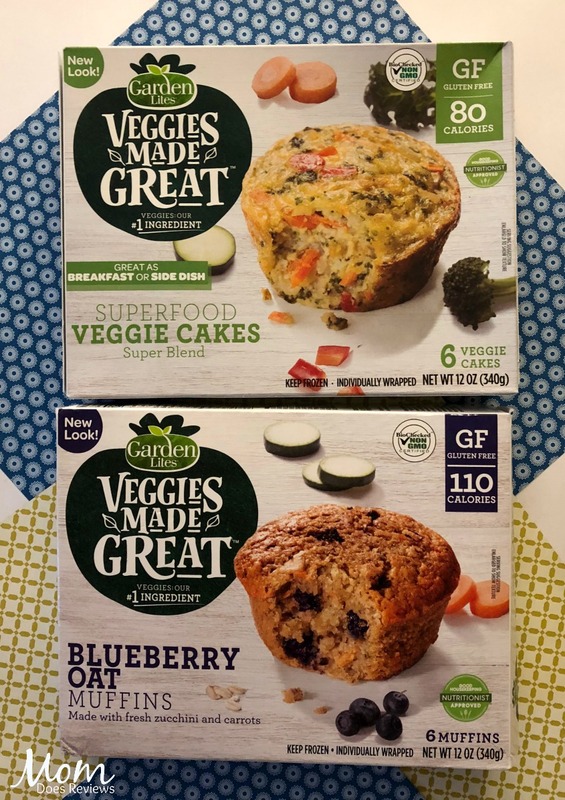 Garden Lites Superfood Veggie Cakes – Packed with nutrient-rich superfood veggies like Kale & Cauliflower, Gluten Free and less than 100 calories! The perfect snack, breakfast or side dish! Need a quick and healthy breakfast or mid-morning snack? Garden Lites are my new favorite secret weapon! The Blueberry Oat Muffin is a great sweet treat- just pop it in the microwave for 30 seconds and enjoy. I even put one in my son’s lunch box and he loved it. 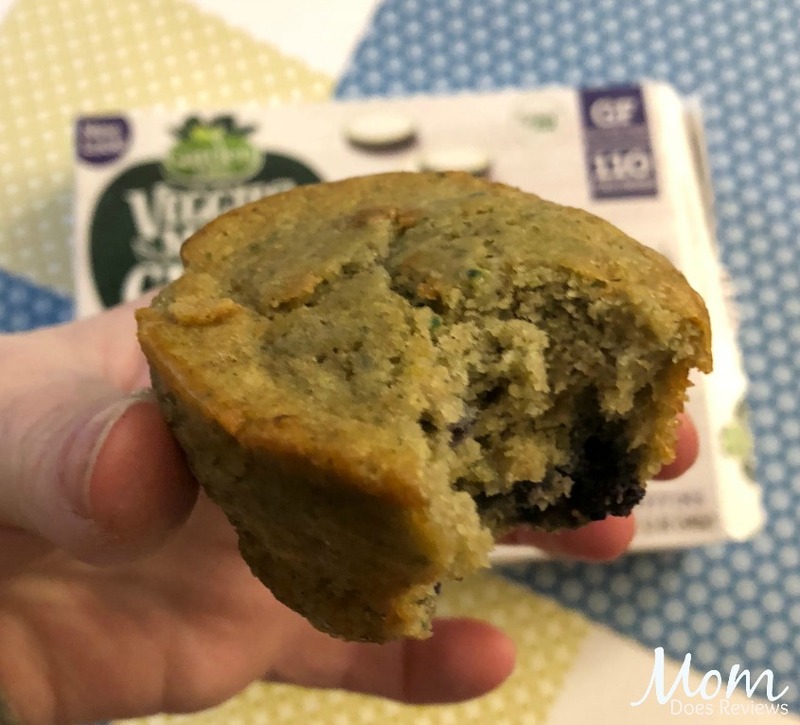 Heat the Superfood Veggie Cakes up in the toaster oven for a deliciously crisp breakfast, or serve as a side dish with dinner. My favorite was the Blueberry Oat Muffin. I had one for a morning snack. It was moist and delicious- you can’t tell it has so many hidden veggies in it. When you order online, use the code BABBLE20 for 20% off your order HERE. Looking for that perfect cup of coffee? Try Red Diamond- it never cuts corners when it comes to making coffee! Deep in the heart of the mountains of Central and South America, the finest Arabica coffee beans are grown. These beans are hand picked, and then slow roasted and handled with extreme care to ensure a smooth and rich flavor in every cup. Red Diamond is the best tasting coffee you’ll find anywhere—we guarantee it. I couldn’t wait to open my 11 oz. 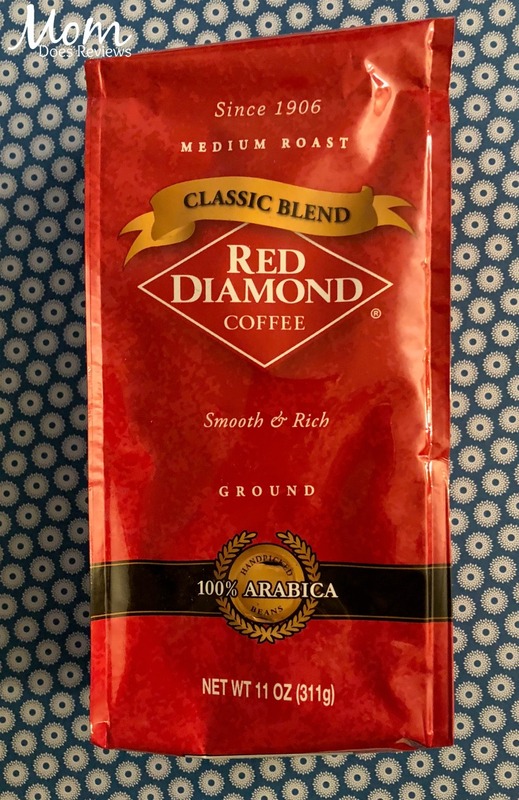 bag of Red Diamond Classic Blend Ground Coffee! It didn’t disappoint! I had my first delicious cup with French Vanilla creamer and it was smooth and amazing. It’s the perfect way to start a day or to end a weekend dinner! 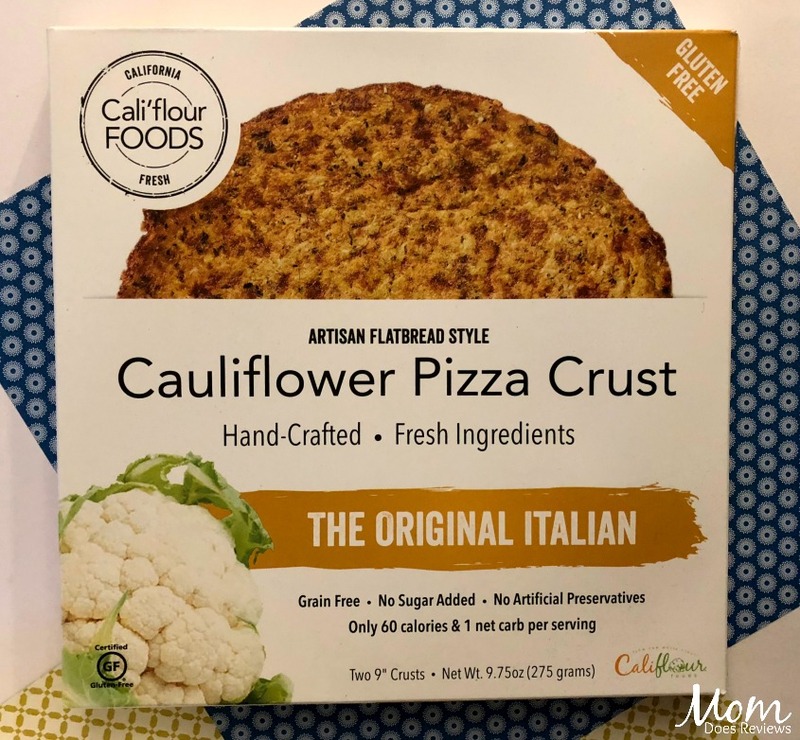 The Original Italian Cauliflower Pizza Crust is grain-free and gluten-free. It’s the perfect option for those low carb dinners. It only has 6 grams of carbs for the ENTIRE crust. Did you know it is made with only 4 simple ingredients? Just fresh cauliflower, mozzarella cheese, eggs and seasoning. I have seen so many Low Carb Cauliflower Pizzas on Pinterest, now I get to try one for myself! The Cauliflower & Yellow Lentil Penne Pasta is a high protein product. It is also grain-free and gluten-free and low glycemic. It only has 2 ingredients- you guessed- cauliflower and lentils! Use code NOFUSSFOODS for 15% off your order HERE (plus free shipping). Cannot be combined with other discount codes or promos. No expiration date -however the coupon code is only good for one use per customer. 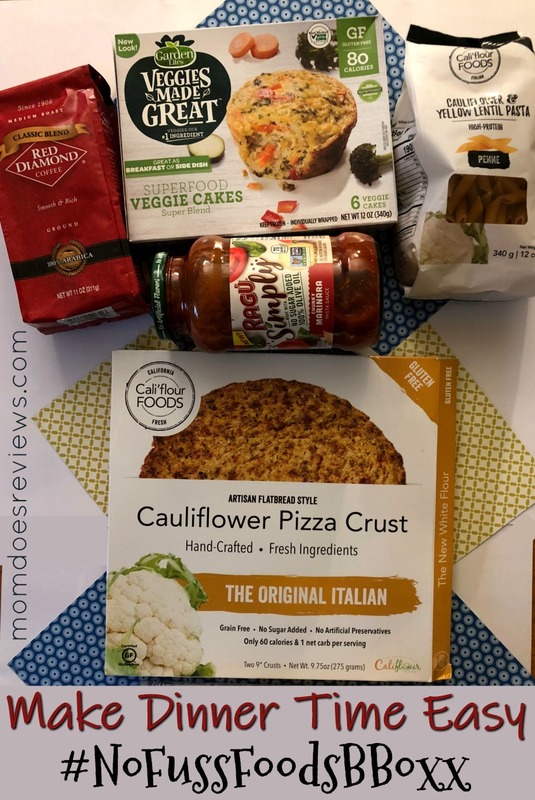 We are planning on making a White veggie pizza with the Cauliflower Crust. I’ll top the crust with a little Alfredo sauce, lots of fresh veggies and mozzarella cheese! That will be a quick and easy lunch or dinner for my son. 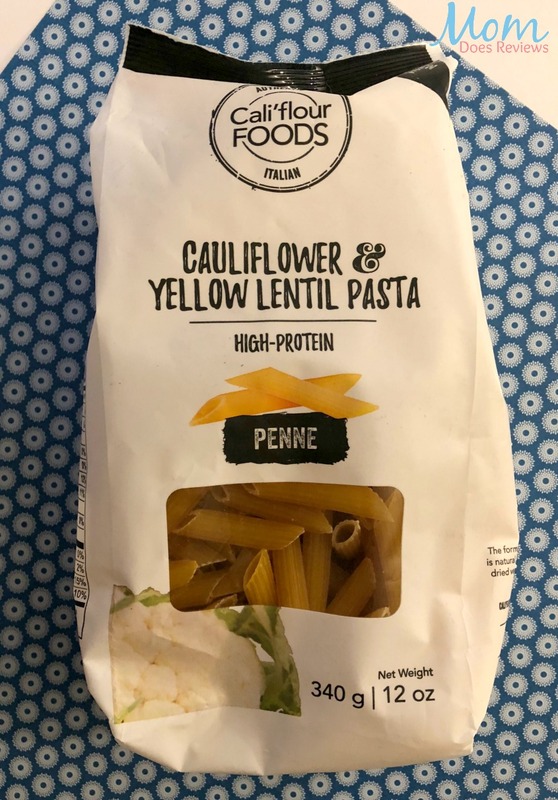 The Cauliflower and Yellow Lentil pasta will be perfect in my next Instant Pot Creation. I plan to use ground turkey, Alfredo sauce and fresh broccoli. I think I’ll make that for dinner tonight! Yummy! Which product from our No Fuss Foods is your favorite? Let us know in the comments below!